On 1 February 2017, the body of environmental and indigenous rights defender Juan Ontiveros Ramos, of the Rarámuri people, was found in the municipality of Guadalupe y Calvo, state of Chihuahua. Juan Ontiveros Ramos was an environmental and indigenous rights defender of the Rarámuri people, of which he was also a traditional authority in the community of Choreáchi. The human rights defender was dedicated to combating illegal logging and land grabbing for illicit crop harvesting on the ancestral lands of the Rarámuri people, in the Sierra Tarahumara. 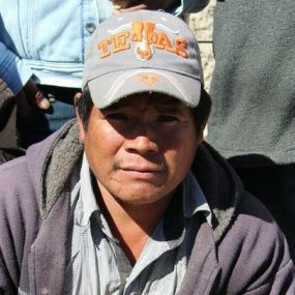 Juan Ontiveros Ramos had also been appointed by his community to oversee their security. On 31 January 2017, armed men intercepted the vehicle driven by Juan Ontiveros Ramos. His brother was also on board. They were brutally beaten before the defender was taken away by the attackers. His brother was left on the scene of the attack. On 1 February, the body of Juan Ontivero Ramos was found in Guadalupe y Calvo. Previously, on 20 January 2017, the human rights defender had attended a meeting with members of the non-governmental organisations Alianza Sierra Madre (Sierra Madre Alliance) and Centro de Derechos Humanos de las Mujeres (Women's Human Rights Centre, CEDEHM) and governmental authorities including representatives of the Attorney General's office and the Human Rights Unit of the Secretariat of the Interior (Unidad de Derechos Humanos de la Secretaría de Gobernación). The purpose of the meeting was to discuss the security situation facing the community as well as the threats against their ownership of ancestral lands. On 2 February 2017, the office of the Attorney General of Chihuahua (FGE) declared that they had identified, with certainty, the perpetrator and an accomplice, and that they had established the motive of the crime as personal retribution. It is of concern to Front Line Defenders that the Attorney General could make such conclusive statements only one day after the killing, indicating the strong possibility of the absence of an exhaustive, impartial and transparent investigation. Moreover, the family of the defender was not briefed on the alleged findings before the public declarations were made by the FGE, contrarily to established procedure. In its Second Report on the Situation of Human Rights Defenders in the Americas, the Inter-American Commission on Human Rights (IACHR) established good practices for the investigation of crimes against human rights defenders, which includes the duty of the authorities to take retaliation against their human rights work into account as a line of inquiry as well as protecting their family members. The killing of the human rights defender Juan Ontiveros Ramos takes place two weeks after the killing of 2005 Goldman Environmental Prize Winner Isidro Baldenegro, an indigenous and environmental rights defender of the Rarámuri people who also worked to combat illegal logging in the Sierra Tarahumara. I strongly condemn the killing of human rights defender Juan Ontivero Ramos, as well as the systematic persecution and violence against indigenous and environmental rights defenders and their communities in the Sierra Tarahumara. I echoe the statement of the United Nations Special Rapporteur for Human Rights Defenders, Michel Forst. In his recent visit to Mexico, the Rapporteur stressed the need to bring to justice the perpetrators of the killing of Juan Ontivero Ramos and Isidro Baldenegro as well as to combat impunity for crimes against human rights defenders including as a measure to deter further aggressions. 5. Guarantee in all circumstances that all human rights defenders in Mexico are able to carry out their legitimate human rights activities without fear of reprisals and free of all restrictions, including judicial harassment.